Sakina Sharp leads the Enterprise Experience Counsel and Enterprise Operations Counsel teams that provide legal advisory services to Enterprise Operations (including Corporate Services, Privacy and Security, and Global Services Delivery), Chief Technology and Digital Organization (including Innovation and Design), and Enterprise Strategy and Marketing. Prior to her current role, Sakina led the Property and Casualty Insurance Company’s Staff Operations, where she was responsible for leading the Change Management, Process Excellence, Quality Management, Supplier Governance, Advocacy & Resolution, and Development teams. Before that, Sakina led CEO, Member Relations, where her team ensured a collaborative and disciplined approach for addressing consumer and regulatory complaints with the goal of exceptional member experience and actionable insights to the business. Prior to her roles in business and operations, Sakina managed a General Counsel team that provided legal advice to USAA's enterprise staff agencies. 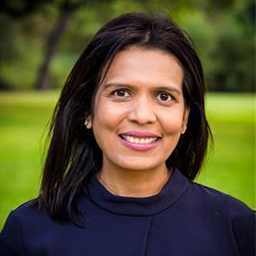 In her 12 years as corporate counsel at USAA, Sakina served as the attorney for the Contact Center, Enterprise Advice Group, Privacy Office, Digital, and Marketing, with most of her career focused on Property and Casualty Insurance matters. Sakina came to USAA from Allstate Insurance Company in Chicago, where she was an insurance regulatory attorney. Sakina is a graduate of New York University and Brooklyn Law School. She is a Certified Information Privacy Professional and a SAFe 4 Certified Agilist. Sakina has served on the board of the Association of Corporate Counsel – South Texas Chapter.